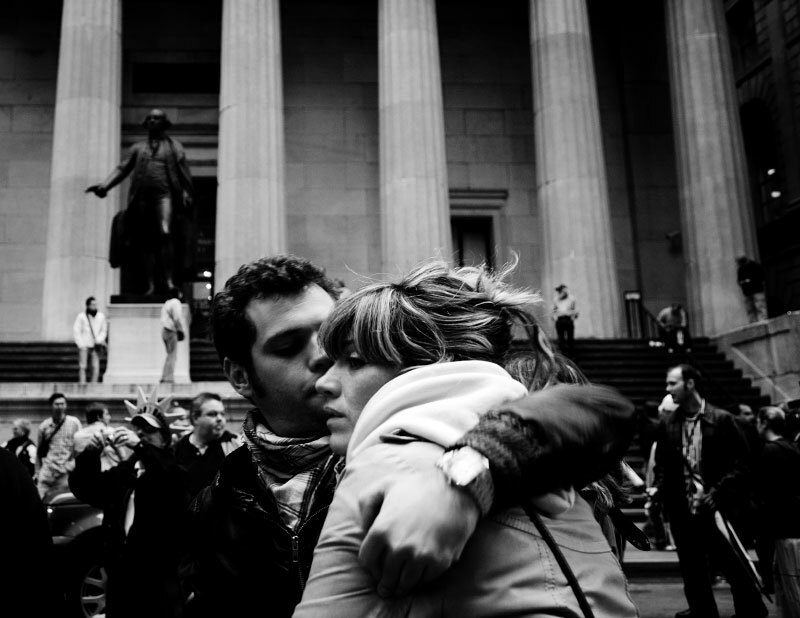 In front of the the New York Stock Exchange Market, a couple hug, as Wall Street suffers through another extraordinary and traumatic session Monday, and people of the Main Street also start to worry about the impact. The Dow Jones industrials plunged as much as 800 points -- their largest one-day point drop -- before recovering to close with a loss of 370, resulting in the Dow below 10,000 for the first time in four years, despite the US and other states’ government efforts to contain the fast-spreading financial crisis. New York, Oct 06 2008.